Despite the disappointment of throwing away a two goal lead in a 2-2 draw at Sevilla at the weekend, Barcelona return to Paris with Dani Alves their only absentee, unavailable through suspension. Whilst the loss of Zlatan naturally makes most of the headlines, it’s the absence of midfielders Verratti and more especially Thiago Motta which is a great deal more problematic for manager Laurent Blanc to resolve. When examining the data from the SportsMatrix database, it is clear that Motta is not only exceptionally versatile, but perhaps the one player who is truly irreplaceable. In their group matches against Barcelona, Motta both made and received the highest number of passes. He delivered close to 60 passes, with Verratti the main target in both games. Motta was the PSG player on the end of most passes in both games. When trying to find a way through the Barcelona defence, Motta was key in both games, delivering the highest number of passes to break through the Barcelona defensive lines – 21 times over the two games. In the first game, with Zlatan absent, Lucas Moura was the recipient of most passes and in the return game at the Camp Nou most of Motta’s passes targeted Zlatan. One of the keys to stopping Barcelona from performing is to deprive them of possession. 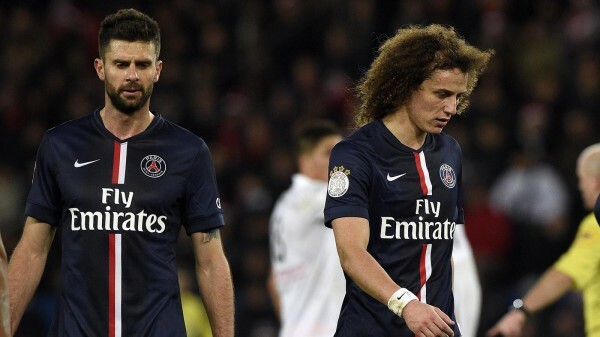 In the group match played in Paris, Motta regained possession on 11 occasions, with David Luiz the next most successful player, regaining possession five times. Motta performed more attacking actions than any of his teammates, almost 70 in each game, but he was especially effective in the home leg in which PSG were victorious, breaking beyond the Barcelona defensive lines no fewer than 13 times. He may not be regarded as one of PSG’s superstars, but when it comes to providing an important contribution, has anyone done more than Thiago Motta? In the win over Barcelona he delivered the corner from which Verratti scored his team’s second goal and in the dying minutes of their tie against Chelsea, with PSG down to 10 men and close to elimination, he delivered the pinpoint corner from which David Luiz headed home the equalizing goal to take the match into extra time. The contribution of their four absent players in this season’s Champions League campaign has been critical to PSG’s success. Motta has provided two assists, Verratti has scored once, whilst David Luiz and Zlatan Ibrahimovic have both scored two goals; with a significant percentage of these goals coming from well-rehearsed set pieces. If PSG are to find a way into the semi-final, Laurent Blanc will be hoping that his squad players are capable of finding a way to derail the Catalan juggernaut.